One of the main reason for me to move here in Islamabad was to travel around. Since the city is closer to northern areas so one can easily go places and explore other cities in a day or two. So in first few months, I hardly spent a weekend in the city but one weekend I couldn’t get enough time to go somewhere far so decided to check out outskirts of Islamabad. One of the places, I found was Neela Sandh, which is around 40 km away from Islamabad. 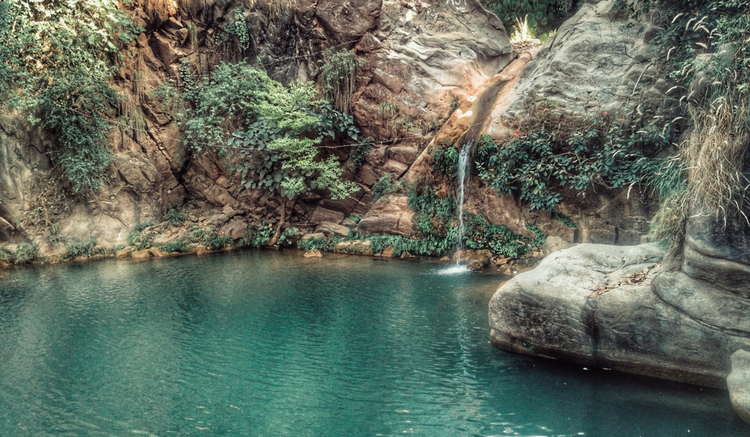 Neela Sandh is a very beautiful pond kind of place with its own waterfall. Although, I went there in dry season, therefore, the water level was low but still imagined how it would look in peak summer. It will normally take you an hour from main Islamabad towards the lehtrar road. Around 10 mins before the main spot, there will be police check post and if you are traveling without family, they will stop you to question. Therefore make sure you have all the required documents or else you have to talk your way out. Once you reach the spot, they have a proper parking space and a hotel so you don’t need to worry about food and washroom. Just make sure don’t go swimming without proper life jacket which is easily available there for rent. Do let me know if you get a chance to visit this place and don’t forget to share your experience.